Every golfer dreams of hitting wedge shots that launch high and land softly on the green with a quick little check. And despite looking difficult, almost any golfer can achieve these results with a quality golf wedge and a little bit of practice. But not all golf wedges are made equal, in fact, there are many different golf wedges on the market that appeal only to a certain style of player or course type. So to help you find the best golf wedges available, we put together this in-depth review guide. Each club contained in this review is there because of its best in class performance, playability, or value. The key features of each wedge will be examined so you can get a better understanding of the technology that helps take your game to the next level. So no matter what you are looking for in a golf wedge, there will be a club that checks all your boxes in this review. Guaranteed! So lets get right into our review on the 16 best golf wedges on the market today! With over 180 players on tour using Titleist Vokey SM7 Wedges, it is clear to see that the performance of the SM7 Wedges is unmatched. Bob Vokey is a master craftsman at Titleist and was the creator of the original Vokey Wedge in 1997. Since then Vokey wedges have grown to become the best wedges in the world thanks to Mr. Vokey’s passion for innovation and precision craftsmanship. This year’s Vokey design comes with Spin Milled Grooves and a micro-milled face to give every golfer the most spin possible. Like previous models, the SM7 boasts an unrivaled feel on all shot types. The fit and finish on the SM7 Wedges is superb with a premium True Temper Dynamic Shaft and Golf Pride Tour Velvet grip. There is no need for upgrades since Titleist includes some of the best shaft and grip options available. A total of 6 lofts are available (50, 52, 54, 56, 58, and 60) and three different sole grinds (F, S, and M). With this many options, there is a Vokey wedge for anyone or course type. PGA Tour players demand only the best equipment and since the Titleist SM7 Vokey Wedges are the dominate wedge on tour, it is clear that the SM7 Vokey Wedges are the best golf wedge available today. Cleveland is one of the leading names in premium golf wedges and with the new RTX 4 line of wedges, Cleveland brings more spin and higher launches than ever before. 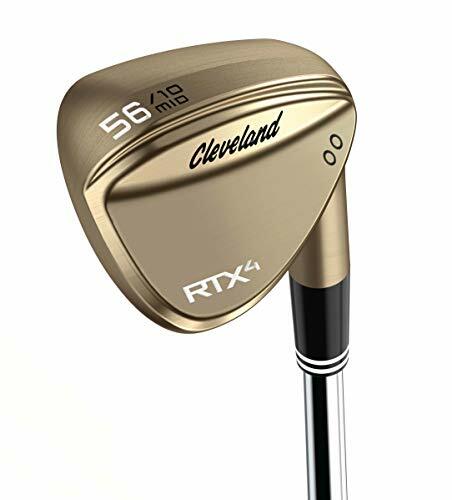 The main draw of the RTX 4 wedge is Cleveland’s new Rotex Face Technology which has been updated to bring more spin than the previous generation. To do this, Cleveland made the already present grooves deeper and sharper. Also, the face milling was increased to be as aggressive as possible while also conforming to USGA Regulations. An impressive 12 lofts are available from 48 degrees all the way to 64 degrees. To make the balancing the same on each club, the RTX4 wedges have a progressive muscle back design that changes based on the loft. So no matter what loft you swing, it will feel the same as any other RTX 4 wedge in your bag. Another great addition to the RTX 4 wedges is the inclusion of four different grind types to fit any swing style. Cleveland boasts that with the four types of grinds and 12 different lofts that a golfer can add 1,000 different shot types to their game. Cleveland continues to create some of the best golf wedges thanks to their aggressive face styling and new designs that give any player more spin on any type of shot. A premium golf wedge needs to provide players with great spin, superb feel, and excellent turf interaction and Taylormade’s 2018 Milled Wedge meets and exceeds all those specifications! CNC machining has recently been the go-to way for golf wedge manufacturers to create more spin without radically changing a clubs make up. Taylormade takes CNC machining to a new level on their 2018 Milled Wedge by adding machined grooves to the sole of the club. These small grooves are meant to improve ground contact and allow the wedge to move smoothly through the turf. Taylormade chose to keep the same light-pattern milling across the club face of the 2018 Milled Wedge and instead improved their grooves to have steeper side walls and sharper edges. This combination leads to top of the line spin rates on full and half shots from almost any lie. Feel was also on the mind of designers of the Taylormade 2018 Milled Wedge and their idea to create a better feeling club was through the use of 8620 Carbon Steel. This premium steel was combined with a Precision Weight Port that gives the club more stability and a better center of gravity. Although the milled sole may seem like a gimmick, the Taylormade 2018 Milled Wedge is a top of the line wedge that provides great spin and excellent feel from many different lies. With the King 2018 Wedges, Cobra looks to give players optimal spin rates on all shots thanks to the inclusion of progressive spaced grooves and a finely CNC milled face. Over the years wedge design had been relatively the same, with most companies offering a wedge that is the same design just in multiple lofts and grinds. The only issue with this tactic is that a 48-degree wedge is very different than a 60-degree wedge when it comes to distance and shot shape. Cobra decided to fix this issue by including Progressive Spin Technology in their wedges which give shallower grooves in weaker lofts and sharper tightly spaced grooves in stronger lofts. Add in fine milling pattern on the entirety of the face and the 2018 King Wedges give more optional spin across all club lofts, especially the lob wedges which are the best lob wedges on the market. Low vibration and exceptional feel are two highlights of the 2018 King Wedge thanks to the 8620 Carbon Steel Muscle Back design. Another feature is the inclusion of Cobra Connect, which allows for pairing between the club and a golfer’s smartphone. Once connected, the app will track swing statistics and estimated distance. 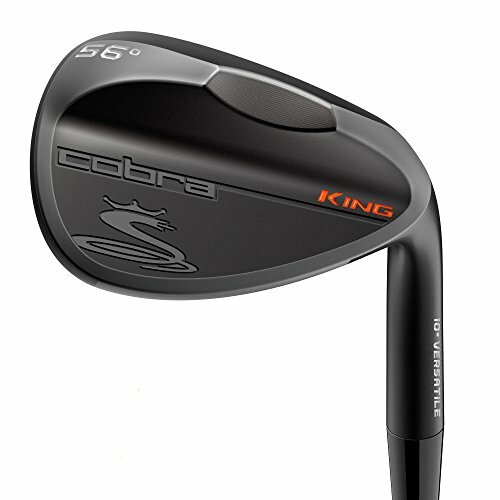 For those who want a top-of-the-line wedge while also getting the ability to get swing statistics and distance information in an instant, the Cobra 2018 King Wedges are for you! 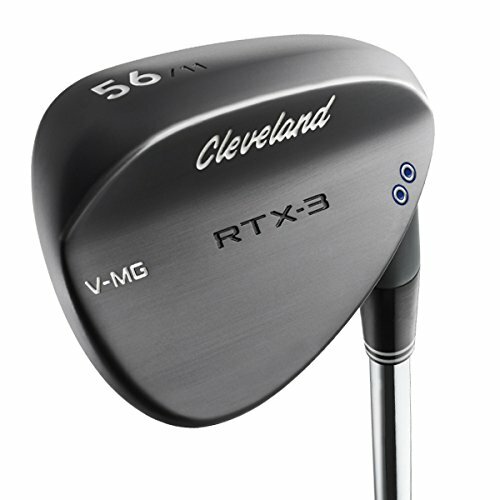 Although the RTX-3 VMG is Cleveland’s last generation wedge, it still includes top of the line features such as a Rotex milled face and better balancing that still gives it great performance at a slightly lower price. Wedge technology has come a long way, but wedges that are a year or two old are not all that different from the newest generation. This is true for the Cleveland RTX-3 VMG which features some of the same features that the new RTX-4 features. A key shared feature is the Rotex face which combines well-placed grooves with a CNC milled face. All grinds for the RTX-3 Wedge feature a V-shape that allows the club to pass through the turf with less resistance and more stability. This inclusion should allow for crisper shots and faster clubhead speeds through impact. Weighting for wedges sometimes doesn’t seem as important as other clubs, but Cleveland chooses to adjust its weight distribution by moving 9 grams from the hosel to the center of the clubface. This change is meant to promote higher launch and better feel on full shots. Despite being last year’s model, the Cleveland RTX-3 Wedge still has all the performance of a premium wedge at a price point that makes sense for golfers looking for an upgrade. Roger Cleveland is the mastermind behind the Mack Daddy line of wedges and his 4th iteration includes materials and designs to support excellent feel and forgiveness on all shot types. Callaway wedge offerings are very limited, but what wedges they do offer are of great quality and performance. 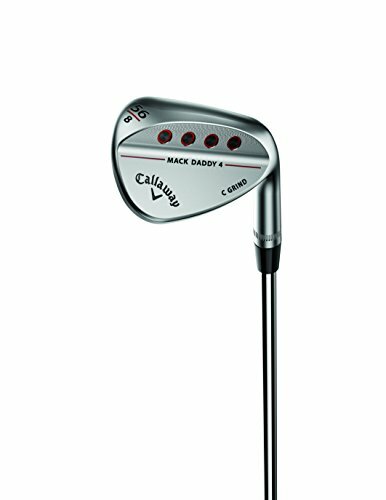 And the leader of the Callaway wedges is the famous Mack Daddy wedge. Roger Cleveland went all out with generation including more features that promote as much shot feel and forgiveness as possible. To give the best feel possible, Soft Carbon Steel was used to forge the head of the Mack Daddy 4. Another included feature is a tuned center of gravity that is just a little higher on the sole of the club, giving each shot a slightly lower trajectory. Usually, lower trajectories result in less stopping power on the green, but the Mack Daddy 4 is different due to its groove-in-groove design. Clean shots get ample spin and come to an abrupt stop after the first bounce on the green. The Mack Daddy 4 wedge does have its own unique look that will last for many rounds thanks to a durable chrome or matte finish. There should also be a club configuration for every type of golfer thanks to the 8 loft options and 4 grind options. The Callaway Mack Daddy Wedge looks as good as it plays and will help a range of golfers to hit better short game shots no matter the lie. Wilson’s focus and dedication to higher quality products have really paid off in the last couple years and their Staff FG Tour Wedge has the looks and performance of some of the other top-of-the-line wedges. The Staff FG line of Wilson golf clubs have really come a long way in the past few years and has become more and more competitive against the big names in golf. Take the Staff FG Tour Wedge, for example, the clubhead is a forged muscle back design and includes premium CNC milling. These are qualities found on the best clubs on the market and Wilson has included them into their Staff FG Tour Wedges nicely. Speaking of premium features, the face of the Staff FG Tour Wedge includes CNC milled grooves and a secondary rough pattern. Spin is respectable and allows for great spin into all types of greens. A raw finish that will rust over time will also contribute to spin after the first season or two. Another nice feature of the Staff FG Tour Wedge is the higher quality KBS shaft that comes installed standard. The only real downside is that there are only three lofts and two grinds available. Although Wilson may not be seen as a premium golf brand, the Staff FG Tour Wedge is by far a premium style wedge that can hang with some of the best in the industry. Many wedges on the market are of a forged blade style, but the Cleveland CBX Wedges are made with a cavity back design to make shots from the fairway easier and with more precision than ever. Cleveland’s CBX and RTX Wedges are almost identical with their features, the only real difference is the actual clubhead design. 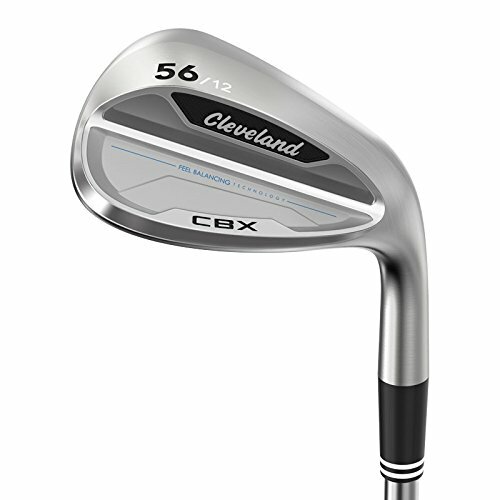 As stated by Cleveland, the CBX Wedges are meant for players who like to have the extra forgiveness from a cavity back design. One of the greatest advantages of a cavity back designed wedge is the extra distance and forgiveness on shots outside of 50 yards. 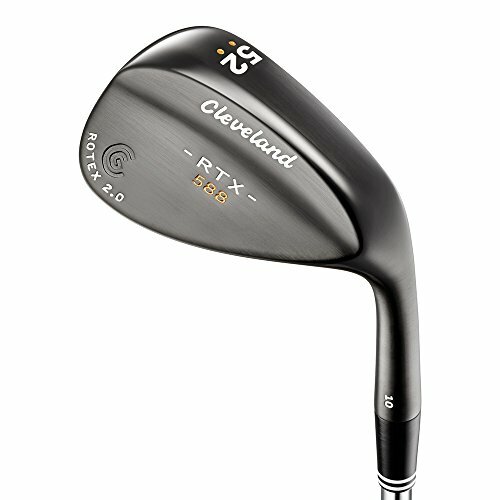 Just like the RTX, the CBX Wedges feature the latest generation of Cleveland’s patented Rotex Face. Sharp grooves and a CNC milled face give the CBX Wedges superb ball spin and excellent feel. Feel Balancing Technology can also be found on the CBX Wedges and grants golfers a more stable club and clubhead through impact. This is important for shots that originate in the rough since the long grass tends to grab at the clubhead. A surprising option for the CBX Wedge is that Cleveland offers a graphite shaft, something that isn’t usually offered for wedges. If you are a golfer who plays cavity back irons and are having a hard time using a traditional forged style wedge, maybe its time to give the Cleveland CBX Wedge a try, it could just be the ticket to lower scores. Get closer to the pin than ever before with the Mizuno T7 Wedge! Featuring better grooves and a teardrop shape, the T7 Wedges will take your game to the next level! Mizuno is no slouch when it comes to the ingenuity put into all their wedges. The T7 golf wedge features Quad Cut Grooves giving each groove a sharp edge that will transfer as much spin to the ball as possible. Depending on what club your purchasing the groove size and layout may be different since gap wedges feature narrow deep grooves and lob and sand wedges will have shallower wider grooves. The T7 Wedge has a unique clubhead design that is made to look like a teardrop meaning more area at the toe of the club than at the hosel. This teardrop design doesn’t make the club look to different from other traditional wedges, but it can be noticed. 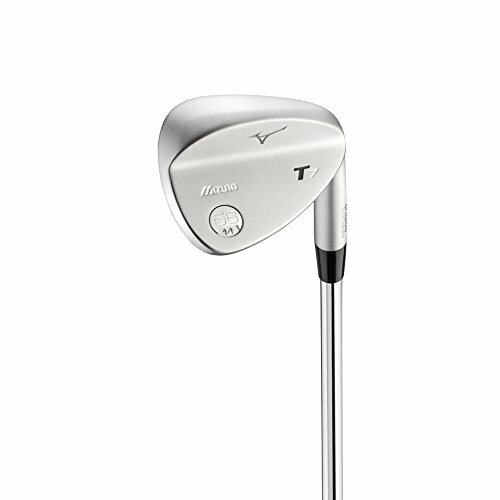 1025 Boron infused steel is used to create the club head of the T7 and is meant to prolong the life of the grooves. Seven loft options and two grind options are offered gives golfers a wide choice in combinations. If you are tired of the face and grooves of your wedge wearing out, the Mizuno T7 Wedge and its long-lasting grooves can help cut down on the costs of upgrading year after year while still performing at an advanced level. Maybe no longer on the cutting edge, but the Cleveland 588 RTX Wedge is perfect for those looking to grab a great, feature packed wedge at a fair price. Wedges, in general, do not tend to change in design or features all that much due to the USGA regulations and their limited areas of use during a round. Because of this, budget-conscious golfers can grab last generation clubs at discount prices without losing much performance. This idea is true for the Cleveland 588 RTX Wedge, where great performance can be had for a respectable price. Cleveland’s finest clubface technology is included with the 588 RTX Wedge including Tour Zip Grooves and a Rotex 2.0 CNC Milled Face. Between each Tour Zip Groove are two smaller laser milled grooves that make the face as rough as the USGA allows. This greatly helps increase ball spin on all types of shots and lies. So despite being about two generations old, the 588 RTX Wedge still has spin comparable to this year’s model. Other added features are the inclusion of a True Temper Dynamic Gold and Satin Black Finish. Five lofts are available with a standard bounce grind that will give most golfers great versatility. If you are looking to upgrade your wedges to a top-of-the-line model but are on a budget and don’t mind using last generations technology, look no further than the Cleveland 588 RTX Wedges. 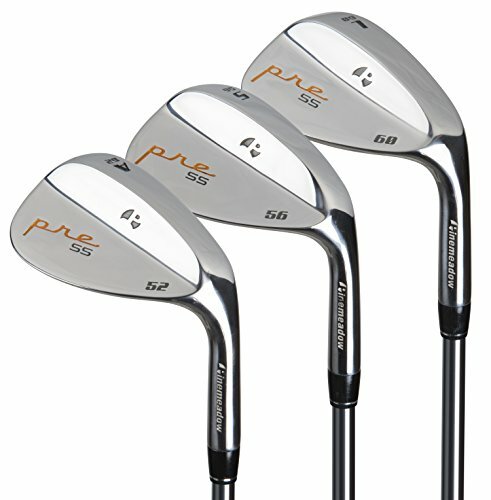 FULL SET OF 3 GOLF WEDGES: 52 56 & 60 degree lofts. Right handed. Forged with milled face. 8, 12 & 10 Bounces. All skill levels. HANDS DOWN THE BEST QUALITY (FORGED): Lazrus golf wedges are made in the same factory as some of today's "top" 52 56 and 60 degree golf clubs - For 1/4 the price! PRO QUALITY WITHOUT THE PRICE: Our premium forged golf wedges set was created for normal everyday golfers like you, weekend warriors or scratch golfers but without the crazy price tag. Truly amazing golf clubs that will shave strokes at an amazing price. MICRO MILLED FACE: For great spin, control and consistency from the fairway, fringe or rough. Get 3 clubs for around the green instead of 1! 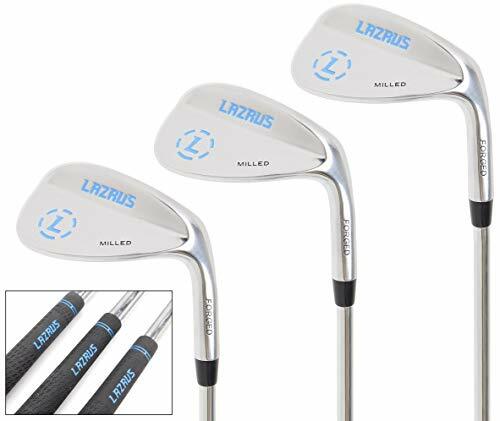 Lazarus is disrupting the golf industry by bringing a 3 piece premium golf wedge set that is made in the same factories as other top brands, at an absolute rock bottom price. Most golfers have probably never heard of the Lazrus golf brand, but for those looking for quality wedges at an unbeatable price, Lazrus Wedges are the way to go. Each clubhead is manufactured in the same factory as many other top brands of golf wedges and irons and undergoes the same manufacturing and quality control process. Each wedge is forged from top quality steel and the face and grooves are CNC Milled to the max specifications allowed by the USGA. This means that each Lazrus Wedge has an exceptional feel and great ball spin. The Lazrus Wedges come in a 3 wedge pack that includes a 52, 56, and 60-degree wedge. This set is perfect for every golfer looking to get a full 3 wedge set. At a current price $99 for the set, each wedge would be priced at $33 making the Lazrus Wedge the best inexpensive wedge on the market. Some golfers like having the top brands in their bag but for those who just care about great performance at a great price, the Lazrus Wedge 3 Wedge set is the best wedge set on the market. Bunker play is an important part of golf that can also be the most difficult. 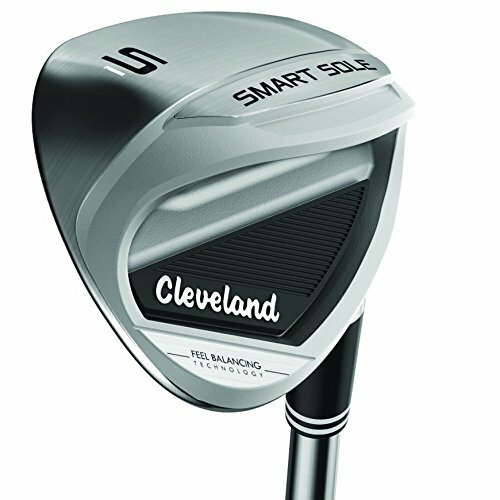 Thankfully Cleveland has made the Smart Sole 3 Wedge that is meant to help make it easier for golfers to get out of a bunker in just one shot. Sometimes players need a club specifically designed to complete one task without much of a change in stance or swing style. For bunker shots, the Smart Cole 3 Wedge makes it simple for players to get the ball up and out with good stopping power on the green. The reason for easy bunker shots is Cleveland’s optimized 58 Degree loft meant to get under the ball and lift it up and over bunker walls. So there is no need to open up the face of the club or change the angle of attack to get over bunker lips. Balance and stability are also important factors of the Smart Sole 3 Wedge. Cleveland improves balance by moving weight from the hosel to the toe of the club in a process they call Feel Balancing Technology. To improve club stability a Three-Tiered Sole is used to create better turf interaction while in bunkers or around the green. Getting out of bunkers can be tough, but with the Cleveland Smart Sole 3 Wedge bunker shots become a piece of cake making the Smart Sole 3 the best sand wedge on the market. Golf instructor Hank Haney has collaborated with Callaway to create a sand wedge that will make getting out of bunkers a simple and worry-free task. 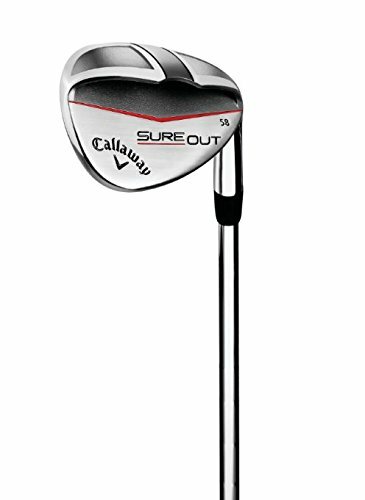 Callaway markets the Sureout Wedge as the club that will help players “Get Out and Get Up and Down”. And Callaway is right, almost anyone can use the Sureout Wedge to get out of a greenside bunker and near the hole. The key feature that allows the Sureout Wedge to cut through sand and create such solid contact is the Sureout Sole. It reminds the user of a cavity back iron that has had the sole extended just slightly. This makes it somewhat tougher to open the face up for other greenside shots but a slightly open face can still be accomplished. Spin out of a bunker is really impressive thanks to the 17 Full Face Grooves that are wide and shallow allowing for sand to flow out of the way during contact. The face itself is also a little larger than usual which helps with forgiveness. Another well-appreciated feature is the inclusion of a KBS Tour Shaft which gives the club better balance and stability. The Callaway Sureout Wedge was designed from the ground up by one of the best golf instructors and a team of engineers to do one thing; get you out of bunkers. And the wedge does just that and should help any golfer who is intimidated by bunker shots overcome their fear. Wilson’s entry-level sand wedge brings golfers great performance and reliability thanks to its simple design and is offered at a price that doesn’t break the bank. Premium golf wedges command spectacular price tags and creating a set of three wedges can cost almost as much as a mid-level iron set. Wilson chose to create a wedge that still performed well but was also at a price point that allowed golfers to carry a full set at a relatively low cost. To keep prices down Wilson chose to offer only one type of sole grind, but made sure to create a grind that gave players as much versatility as possible. Accomplishing this goal meant that the grind was made flatter and more smoothed making an easy transfer between the sole and the back of the club. A flatter grind will allow players the ability to open up the clubface if they desire, and is a much-appreciated option. 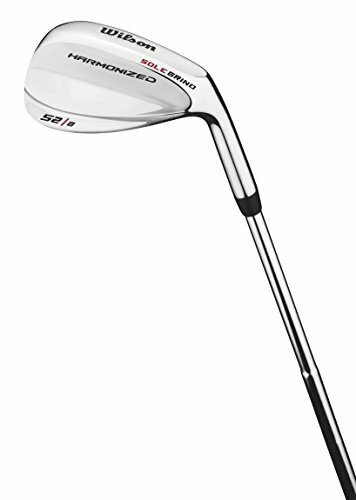 Wilson offers five different loft options and each clubhead comes in a durable, highly polished finish. The only real lacking part is the grip that has little padding and minimal tackiness. For those who are a beginner or are looking to get a beginner a new wedge, the Wilson Harmonized Wedge is one of the best value clubs in our golf wedge reviews. “Why pay over $100 for a single wedge when you can have a full set of three for less than the price of one?” is the question that Pinemeadow asks all golfers who are considering a new wedge purchase. Pinemeadow has made a name for themselves in the budget club market thanks to their excellent prices and respectable club performance. For their wedge set, Pinemeadow offers 3 wedges in 52, 56, and 60 degrees. These lofts give a golfer the three main wedge types of a gap, sand, and loft wedge. Each Pinemeadow Pre Wedge was designed with a Wide Sole Grind to help any golfer achieve great contact from a variety of lies in the fairway and around the green. Wide and shallow U-Shaped Grooves allow for good spin and debris clearance. The only issue with the grooves is that they tend to wear out depending on the turf type and swing style, a groove repair tool is recommended. It would have been nice if Pinemeadow would have added better grips since the ones that come standard are a little slippy and have no padding. The steel shaft is also on the heavier side, weighing in at 125g. 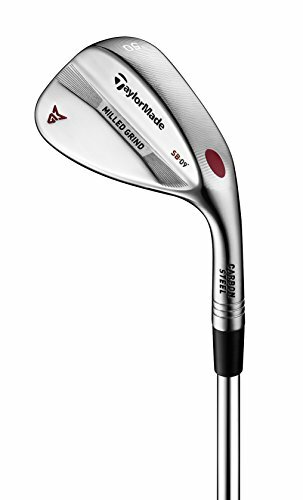 Pinemeadow has shown that they can create respectable clubs for budget-conscious golfers and the Pre 3 Wedge set is no different and can hold its own against better clubs. A forged steel clubhead and deep sharp grooves combine to create the Texan Classic Wedge Set that will help any player generate better short game shots at such a low cost it almost can’t be believed. The first thing that needs to be said about the Texan Classic Wedge Set is that the spin generated is some of the best out of any club on the market. The issue is that the USGA regulations specify maximum groove width and sharpness, which the Texan Classic Wedge Set may not meet. So technically these clubs may not be able to be used in a golf tournament, but unless you are playing on the PGA Tour, it’s doubtful that anyone would say anything. If that doesn’t deter you from wanting the cheapest wedge set on the market than read on! Simplicity is the idea behind the Texan Classic Wedge Set and allows for a regularly shaped clubhead with a simple grip and steel shaft. It should be noted that the clubhead is heavier than other wedges but this can be a plus on full shots since the weight can create more spin. Speaking of spin, the Texan Classic Wedge Set will spin any golf ball from any lie. Period. The problem is that the grooves are so sharp that they will shred any golf ball that has a urethane cover. So if you plan on using this club with Pro V1s or similar golfballs, bring along an extra box of balls because you’re going to need them. 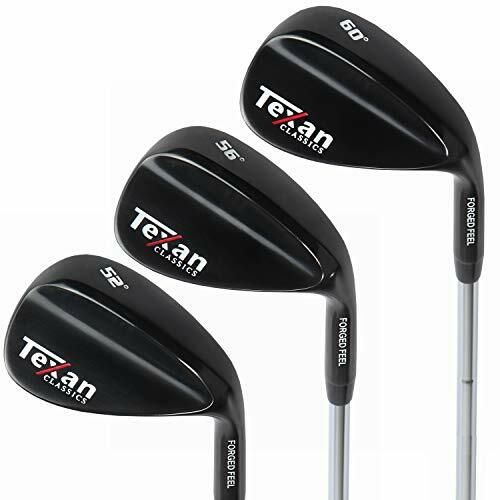 The Texan Classic Wedge Set is cheap and creates some of the best spin out of any wedge on the market, it just eats golf balls and might not exactly be tournament legal. Golf Wedges can be some of the more confusing club types due to a large number of names and lofts available. Another factor to consider is what type of loft fits your distance profile and what grind is best for your swing type. All these questions need to be taken into account when looking to purchase a new wedge since purchasing a wedge that doesn’t fit your playstyle will only hurt you more than help. There are four main types of golf wedges that have a specific range of lofts. Some overlap in lofts will be noticed but is meant to allow for golfers that have a different amount of distance. First is the pitching wedge that has a loft between 44 and 50 degrees. The pitching wedge is intended to be used from a distance of around 125 yards. A pitching wedge is normally included in an iron set and is normally does not need to be purchased individually. 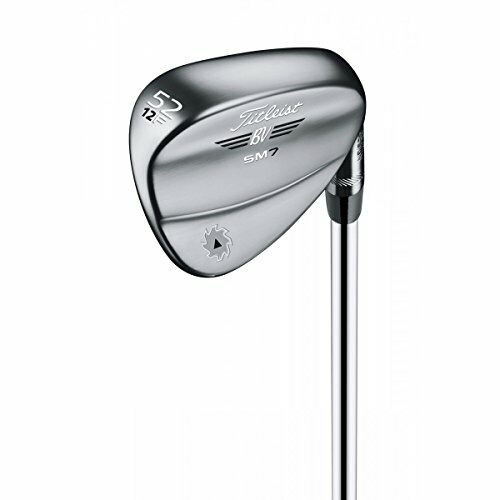 Next is the gap wedge that has a loft range from 46 to 54 degrees. A gap wedge’s name comes from its role which is to fill in the distance between the pitching wedge and sand wedge. As such the gap wedge is only used in distance ranges that are between a pitching wedge and sand wedge. Maybe the most known wedge, the sand wedge, is used mainly for one job and that is to get a golf ball out of the bunker. The loft range for a sand wedge falls in between 54 and 58 degrees with the most common sand wedge being 56 degrees. Finally is the lob wedge which is meant for high towering shots from the fairway thanks to the 60 to 64 degrees of loft. A lob wedge is also perfect for making a small hop over a bunker that is between the ball and the green. The first and foremost thing to consider is the distance that you are looking to get out of your wedges. Most golfers carry only three wedges but depending on how far you can hit a certain wedge type, it may be useful to add another wedge or drop a wedge from your bag to help smooth out your club distance. 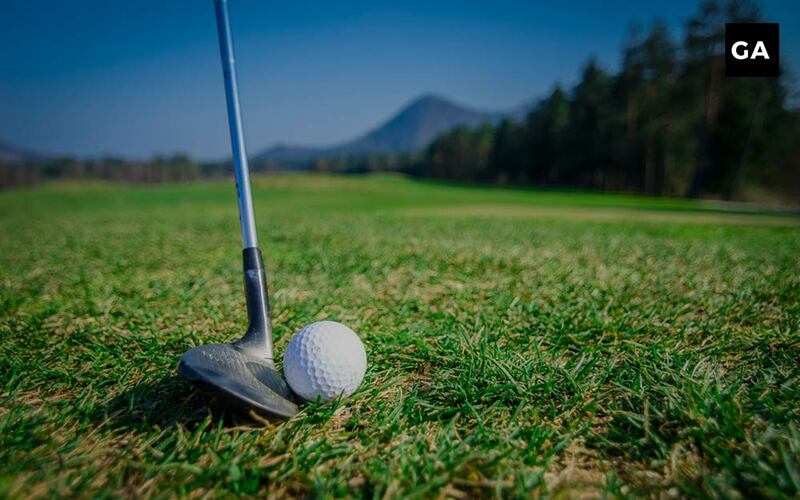 An example would be if you are able to hit a pitching wedge far enough that you do not need to carry a gap wedge since the distances would overlap. The second most important thing to consider is the bounce or grind that is applied to the sole of a wedge. Bounce is defined as the angle created from the edge of the club to the lowest point in the sole. Low bounces are great for firm turf or bunkers with course sand whereas high bounce angles are great for softer turf and fluffier sand. A grind is how the sole of a wedge is shaped to create a certain type of bounce. Other things to consider are the type of grooves and groove spacing that is available on the face of a wedge. Groove spacing can differ depending on the loft of the wedge due to higher lofted wedges having grooves that are spaced closer and lower lofts having widely spaced grooves. Very few groove shapes are present with most groove shapes on top clubs being a U or V shape. A wedge’s finish is important on a style basis but also as for how the club will play in the future. Many wedges come with a chrome or black finish to help create durability and longevity. 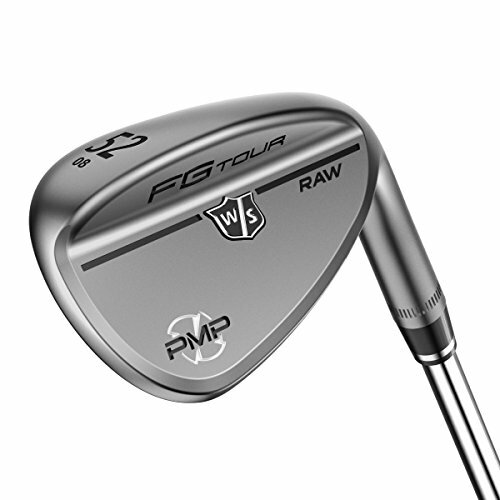 Manufacturers are now also offering wedges that have a “raw finish” that doesn’t stop the steel face from rusting over time. This buildup of rust can help add more spin to the ball due to the roughness. Other things can also be considered such as a wedge’s looks or the type of shaft and grip that comes installed. No matter how much golf you play, a wedge upgrade will normally be one of the first upgrades that you will need to make. Since the short game is one of the main areas where many players can improve, purchasing a great wedge can really help shave off some strokes. When purchasing a wedge make sure that you take some time to identify specifically what you want from the new wedge and whether a prospective wedge will fit your individual play style. This is very important as selecting a wedge that doesn’t fit your play style will cause more harm to your game than improvement. Another tip for purchasing wedges is that having a budget is a great idea. Buying a full three club set of top-of-the-line wedges can cost several hundred dollars, a large cash outlay for many players. A better way to get improvement without the huge outright cost is to slowly upgrade your wedges over time. So go ahead and pick your favorite wedge from our reviews and buy the loft that you need the most, then next season buy a different loft, and so on and so forth. This will allow you to pick up a full set of top tier wedges over three seasons for a lower initial cash outlay. Hopefully, our review of the top 16 best golf wedges helped you find the best wedge for your game. If you are still on the fence about upgrading your wedges, just know that every wedge featured in our review will bring great feel and spin to your game. Don’t believe us? Go ahead and pick up a recommended wedge within your budget, you won’t be disappointed! Here are the best golf wedges available in 2019 reviewed to help assist you with your purchase.